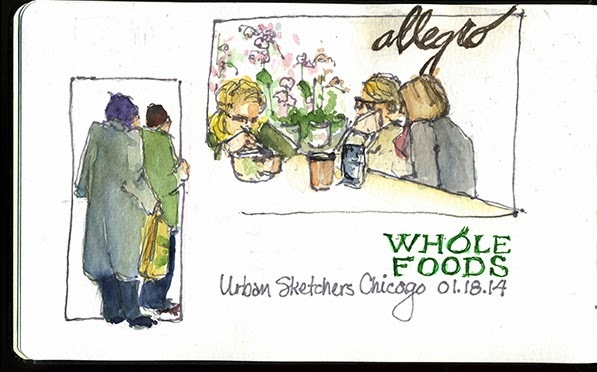 Whole Foods, Lincoln Park: Despite the snowy, gray day we had a good turnout for our January sketch meet. So many scenes to sketch! 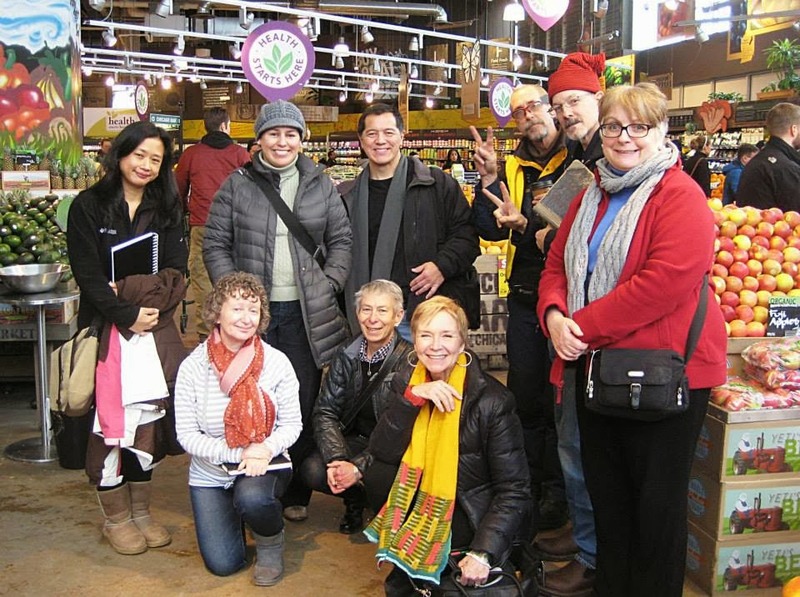 I've been to this Whole Foods many times but never on a Saturday afternoon. 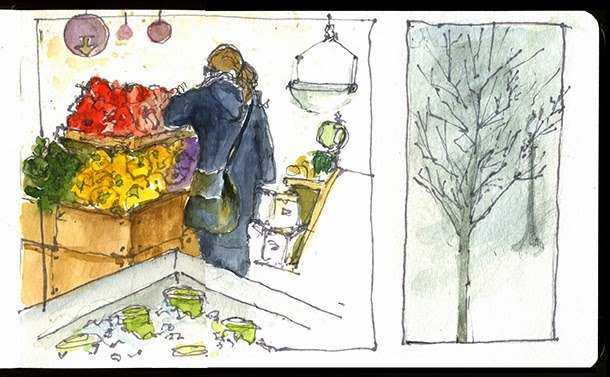 It was a madhouse mixture of fun, comradery and business and not just USk Chicago sketchers. Sketchers and shoppers alike seemed to be enjoying themselves. Not only did we have a great time sketching but we also continued out work on the plans for Chicago Sketch Seminar coming in June.